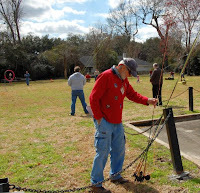 The 2016 Natchitoches Fishing Expo - a celebration of Light Tackle and Fly Fishing - will be held Saturday, March 5th at the Natchitoches Events Center in downtown Natchitoches, LA. Time is 8:30 am to 5:00 pm. Admission is FREE! Hosted by the Cane Country Fly Casters, there's activities for the whole family, with over 60 exhibitors and vendors, 40+ fly tiers from across the South, programs on all types of fishing (bass, crappie, saltwater, kayaking, fly fishing) as well as hands-on workshops for a nominal fee. There's also silent auction with many one-of-a-kind items to raise money for the club's conservation projects. The downtown Natchitoches area also offers lots of great local restaurants and unique shops. For a complete schedule, including list of activities and programs, and links to Natchitoches area info, go to the NFE website at www.redriverfishingexpo.com. 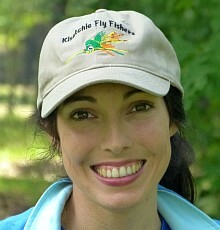 Or visit the Cane Country Fly Casters website at www.canecountry.blogspot.com. Our next general meeting will be on Monday, February 22, at the Rapides Westside Library in Alexandria. Meeting starts at 6:30pm. This month, Ricky Yeldell will be our guest speaker. Ricky is a recently retired inland fisheries biologist with the Louisiana Wildlife and Fisheries. As the managing biologist for Toledo Bend, he has an intimate knowledge of this vast lake, and why it's producing so many trophy bass the last couple of years. Ricky will give insight to where to find the lunkers, and other species, and what the future holds for T-Bend. Also on the agenda: fishing reports and upcoming events. As always, the meeting is open to the public. Also 2016 dues are due by March 1st! It's $20 for individual or immediate family, and free to active service members or full-time students. 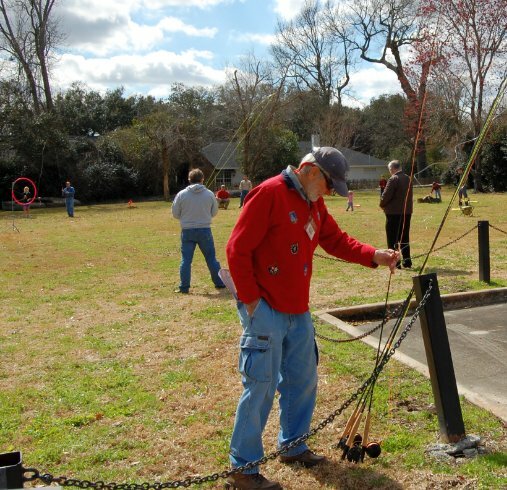 We encourage club members to make the short drive to Lafayette and check out this celebration of fly fishing, hosted by the Acadiana Fly Rodders club. Bring your rod and pick up casting tips, or learn some new fly patterns. Our next fly tying session will be Monday, February 15, at the Rapides Westside Libary in Alexandria. Time is 6:30pm. 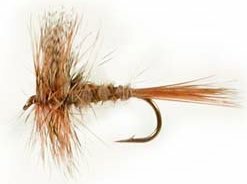 This month, Gene Taylor will lead us in tying the March Brown. Rhithrogena morrisoni is one of the largest mayflies found on many streams. It's one of the primary spring hatches on the Little Missouri River, starting in late February and continuing sometimes into late April. When the March Brown is hatching, strikes from rainbow trout can be spectacular.